In Santa Fe, NM I recently saw a sneak preview of When Giants Fall http://whengiantsfall.com/ a powerful documentary that speaks to us about the African Elephants –who are caught between bloody civil wars and a lust for money– and their struggle to avoid extinction while facing a seemingly insatiable worldwide demand for their ivory. Yes, it was incredibly hard to watch. Director and producer Leslie Griffith in no way hides the cruelty and mass murdering of these sacred, soulful and majestic creatures. The suffering the elephants are experiencing, both physically and emotionally is heart breaking to witness. And yet, I am so grateful for the opportunity to see it, and grateful to Leslie for sharing her work. It wakes me up, big time. Leslie’s compassion for the elephants and their horrifying situation is palpable, and I believe that we all need to witness this… we all need to wake up. At this point in time, it is well known that elephants are emotional beings who experience deep feelings such as empathy, compassion and altruism… and grief. 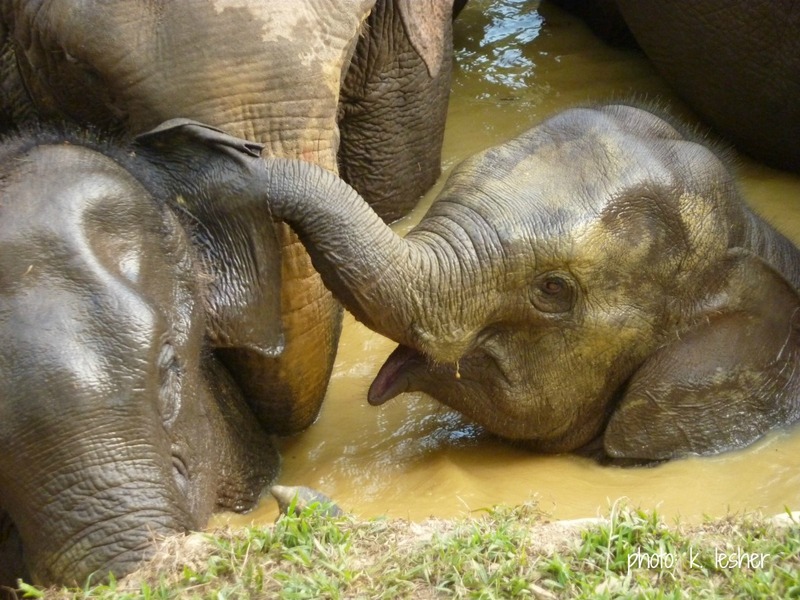 Elephants have a complex social network and an incredibly strong emotional attachment to members of their family — these families are being ripped apart due to poaching, and it is being reported that many elephants are showing symptoms of PTSD after witnessing the torture and murder of family members. In the film there is an image of a baby elephant, in anguish, draped across the body of her mother who had just been killed. This heart wrenching image will stay with me evermore. Do you know that the U.S. is the second largest consumer of illegal ivory in the world (China is the first)? I did not know this, but I do now… When Giants Fall also speaks about the complexities of the human culture and how the killing of the elephants is caught up in the drugs and the arms trade. It is about greed and power. And those in power are getting away with genocide while at the same time taking advantage of the disenfranchised humans, who with little to no resources and out of desperation, take on the role of poacher. And these poachers lose their hearts, and often lose their lives. I find it unbearable that the human species is so caught up in gaining power and money that they have lost all compassion… There is an enormous disconnect. When I told someone I was going to see this film, she said she couldn’t watch it because it would make her cry. I cried so much during the film…. I continue to cry… It breaks my heart to witness the suffering, the despicable human greed and corruption that is destroying a culture, a species. This film has touched me in a way that I am not sure I can even verbalize at this time. Do you know that feeling of encountering something that changes you forever? I feel like this is what When Giants Fall has done to me – done for me. 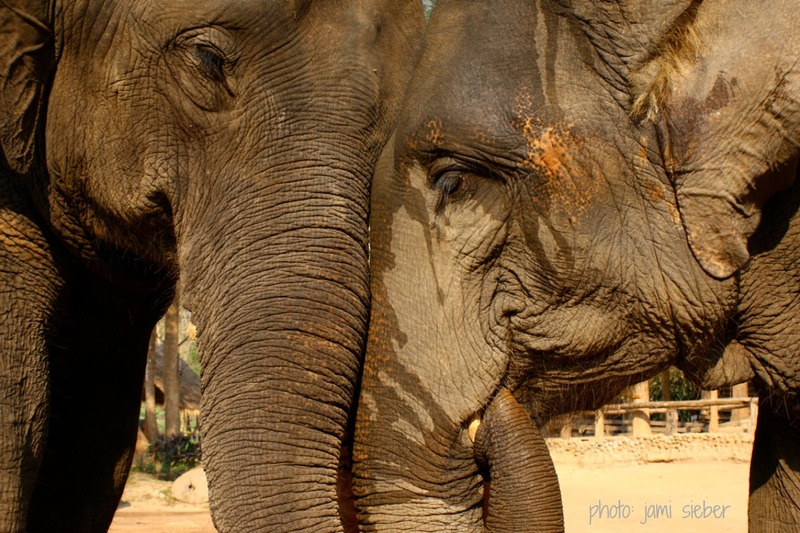 I have spent time with elephants in Thailand thanks to Jami Sieber http://www.jamisieber.com/ who opened my heart to the Asian Elephant. I have been there a number of times and am always so deeply touched by their grace and life-force. I hold these magnificent beings in my heart in a deep and profound way, and I vow to do what I can to help make a change…. I didn’t see the film, and your post here made me weep. Heartbreaking to read about the plight of these beautiful, majestic animals. Thank you for reaching deep and writing about this. Beautifully written and it made me cry too. Thank you. I am in tears as as I read this. I am in tears often when I see the reality of struggle and violence against these beautiful creatures. My heart aches. Thank you for bring this to our attention. We all need to bring awareness, speak out and standup for these majestic and vunerable creatures. Thank you for your wonderful message and for bringing this movie to the public eye. My heart hurts just reading your commentary as you seem to echo my same feelings. I am trying to do what i can but feel so helpless at times. Please let people who are not on the front lines know what we can do to help. I know that volunteering to work with these amazing creature is definitely in my future. Thank you! !